Christmas seems to be galloping at us at high speed and I can imagine everyone is rushing around filling those Christmas gift lists, planning menus, attending parties and for us crafters - making Christmas cards, decorations and ornaments. I know I am. When it comes to decorations, self made ones are the ones that are treasured the most. It makes the season more meaningful. I've done mini trees, a canvas, cards and ornaments. 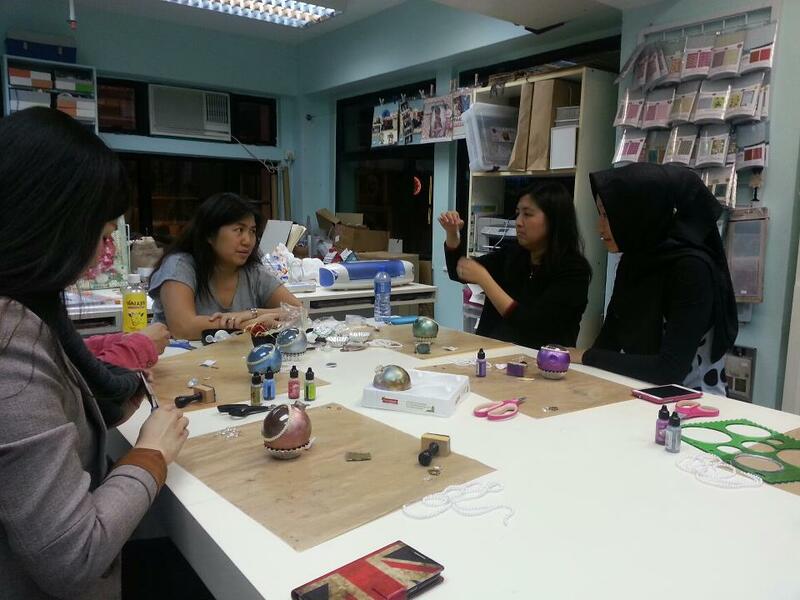 Last Thursday, I held my ornaments classes; one session in the morning in DB and one in the evening in Sheung Wan. 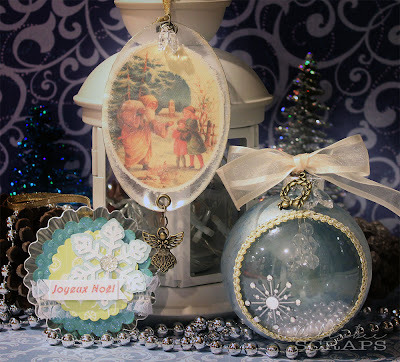 We made three different ornaments; one round glass bauble, a tart tin based bauble and a canvas based one. These were the one I made up for the class. Here we are all putting our glass balls together. 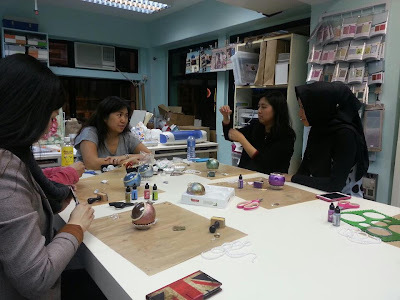 We even had a student all the way from Singapore join us for this class. All the gorgeous ones from the evening class. 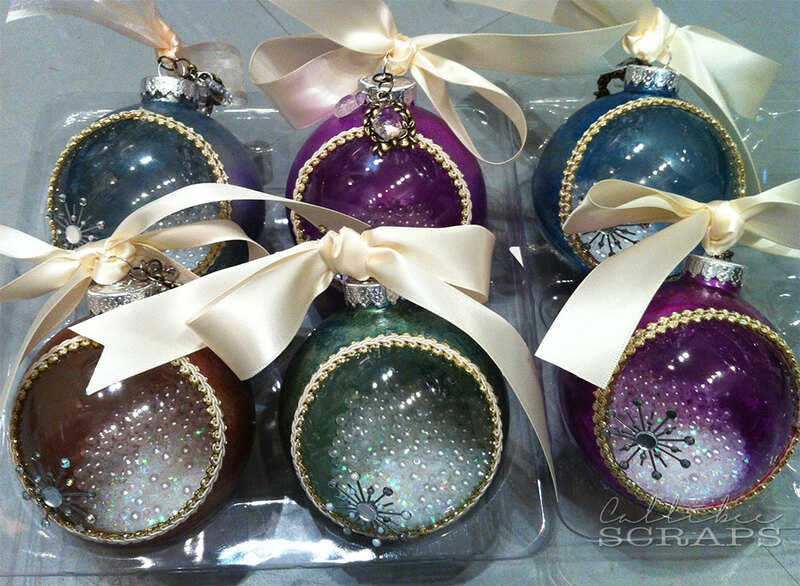 The glass balls were covered in alcohol ink before adding trim and trinkets. I love all the jewel colours we got. So beautiful. 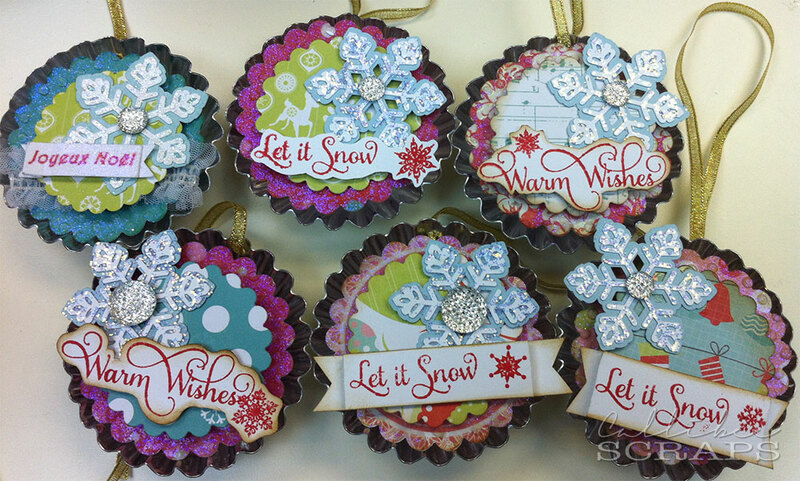 Lovely tart tin ornaments. I love all the pinks, blues and greens. The papers were die cut and the snowflake was cut by the eClips. The whole thing is surprisingly light, so won't drag down your branches. I didn't get a chance to take pictures of the canvas ornaments, but everyone managed to make two to three of them each. That was my last class for this year. Hoping to bring more fun and interesting projects to share with you next year. We'll be leaving for the UK on Thursday, but I'll be lugging my outstanding projects with me to do, so I may have one more post before the end of the year. In the meantime, I wish you all a very Merry Christmas and all the best for the new year. Oh my goodness! These are gorgeous! I especially love the round glass bauble. So pretty!